Mark Anthony sent in this photo of his Vox band, the Rogues, from 1967. 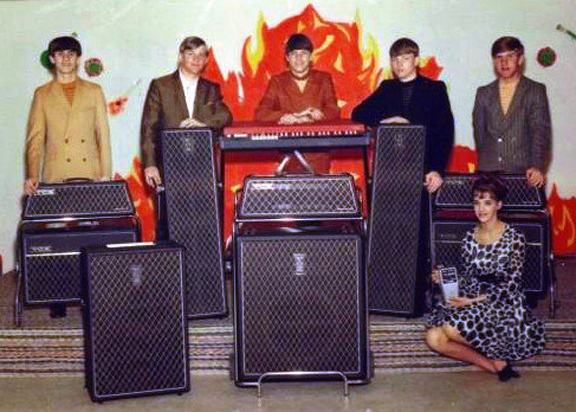 Their Vox lineup included two Berkeley amps, a Kensington bass amp, a Westminster bass amp, a pair of Grenadier X columns and a Jaguar organ. The young lady sitting on the stage is holding a Vox Tone Bender pedal. There was a lot of cool Vox gear packed into this photo.